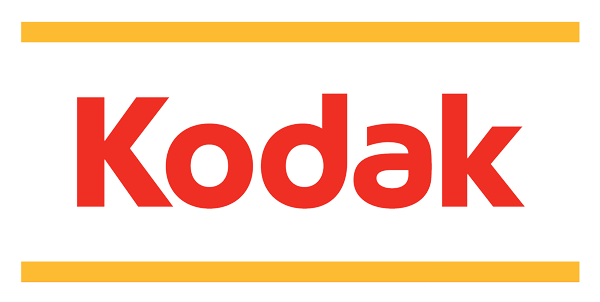 A recent analysis has estimated that Kodak's digital-imaging patents, which make up just 10 percent of its intellectual property portfolio, are worth $3 billion, more than five times the struggling photography pioneer's current value in terms of market capitalization. Kodak's market capitalization, the total value of its outstanding stock, stood at $575.77 million on Tuesday, less than one-fifth of MDB Capital's $3 billion estimate for just one segment of the company's patents. The company has tumbled sharply from a prior market value of $30 billion after being left behind in the digital era. Fund manager Walter Todd said the company "missed the boat with the transition to digital," though its intellectual property is valuable. "This whole patent area has become really hot," he said. The Rochester, N.Y., company is currently in the process of suing Apple over a digital imaging patent that could be worth as much as $1 billion in licensing royalties. When asserted against South Korean electronics giants Samsung and LG, the patent brought Kodak more than $950 million in royalty revenue. Though Apple won some early victories in Kodak's case against it with the International Trade Commission, the final ruling on the case has been cast into uncertainty. Earlier this month, the chief administrative law judge at the ITC retired, just weeks before he was to issue a final judgment on the case. The ITC has said the case will be reassigned to a new judge. Interest in patents has reached a fever pitch, culminating in Google surprising market watchers by announcing a $12.5 billion deal to acquire Motorola Mobility on Monday. Analysts viewed the move as largely a patent play, as Google has found its Android mobile operating system under attack from infringement claims by rivals Microsoft and Apple. If the deal is approved by regulatory officials, Google will gain 17,000 issued patents and 7,500 in-process patent applications. The company also recently purchased a group of patents from IBM. "I think that we've seen some very aggressive licensing demands in the Android ecosystem," Google Chief Legal Officer David Drummond said. "And we think that having the patent portfolio will make sure that Android is open and vibrant, and the kind of platform that lots of companies can remain on." In June, Apple and several other of Google's competitors, including Microsoft, Research in Motion and Sony, beat out Google in a bidding war over a group of 6,000 patents from bankrupt Canadian telecom equipment maker Nortel. The consortium paid $4.5 billion for Nortel's patent collection. Kodak began shopping its 1,100 digital-imaging patents around in response to the high interest in the Nortel auction. After hemorrhaging $2.5 billion in losses since 2005, the struggling company is desperate for cash. So desperate, in fact, that the company is said to be considering the sale of the valuable image preview patent it has accused Apple of infringing on. "Given the heightened demand in the marketplace for premium intellectual property assets, we believe that the timing is right and that we have a great opportunity for these very valuable assets," Kodak Chief Executive Antonio Perez said last month.